I believe that whole, intact grains such as oats and brown rice can be an important building block in a healthy diet. Personally, I use an assortment of whole grains such as oats, brown rice, and black “forbidden” rice in my daily diet. In fact, the longstanding Framingham Heart Study found that three or more daily servings of whole grains were associated with a slimmer waist. Another study found that the eating of three whole grain portions a day reduced high blood pressure as much as medication did. Whole grains may also help lower risk for prediabetes, Alzheimer’s disease, osteoporosis, cancer in general, and breast and prostate cancer in particular (Source: Nutritionfacts.org). However, some people don’t do well on grains, and find them difficult to digest. Or, they’re following a specific autoimmune protocol that prohibits grains. So, I got to work making a Grain Free Granola that’s sure to please anyone in the group, grain free or otherwise. This recipe uses large coconut flakes instead of the traditional oats. 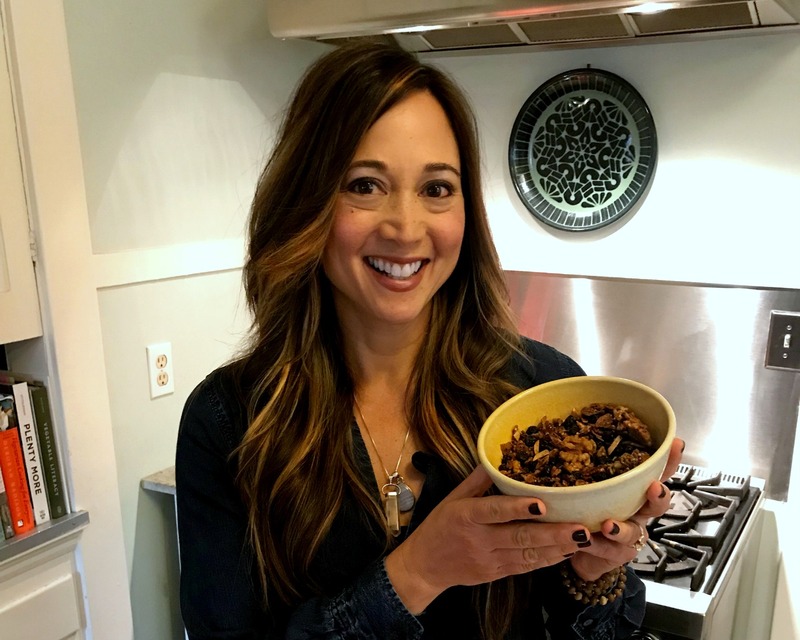 In addition, we add different nuts and seeds to provide a pleasing texture, as well as a full nutritional line-up of fiber, protein, and omega 3’s, a.k.a. healthy fat. For every meal, I like to think about the star of the show. 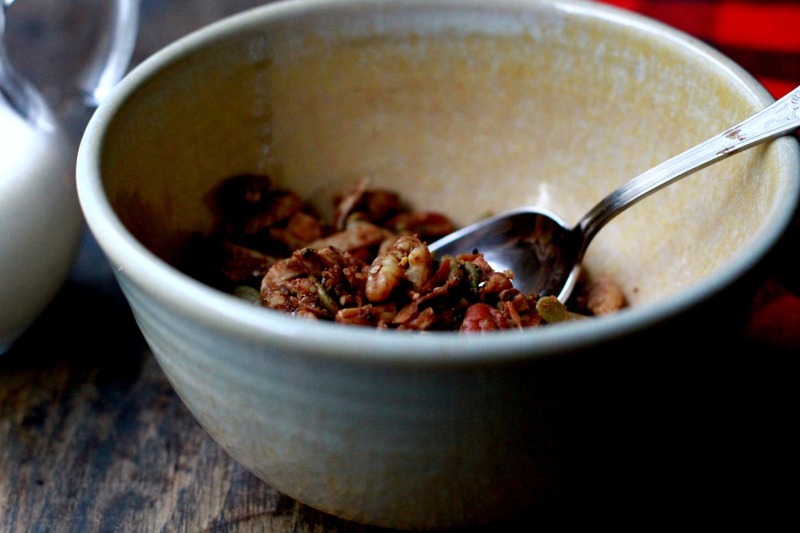 And while there’s a lot of healthy players in this Grain Free Granola, one definitely stands out: walnuts. I know walnuts may not be your favorite. Kinda boring, right? In fact, walnuts haven’t always been my favorite. Pistachios, almonds, macadamia nuts — there are so many more exciting nuts out there. Well, that’s what I used to think. Until I started doing my research on walnuts. Now, I try to have them daily. Compared to other nuts, walnuts have among the highest levels of antioxidant and omega-3 levels. Walnuts contain a kind of omega-3 called alpha-linolenic acid (ALA). The body can then take the ALA and turn it into EPA and DHA, which are considered the power-twins of healthy fats. So come on! Eat your walnuts! 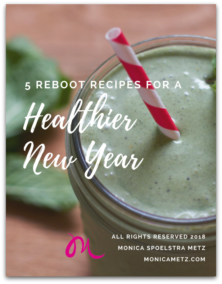 If you’re the kind of person who picks them out of chocolate chip cookies or banana bread, now’s your chance to step up and do your body a solid. Start enjoying a small amount (such as a quarter cup) on a daily basis. 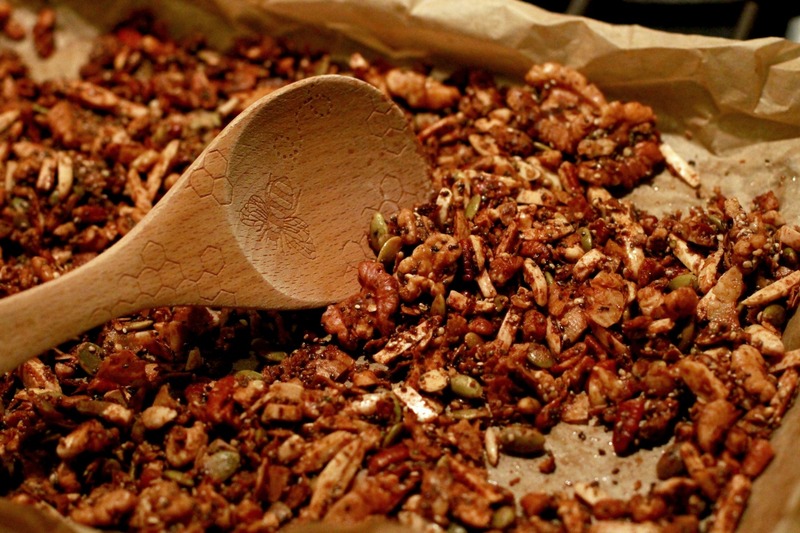 Or, try a scoop full of this walnut-rich, Grain Free Granola in your cereal bowl in the morning. 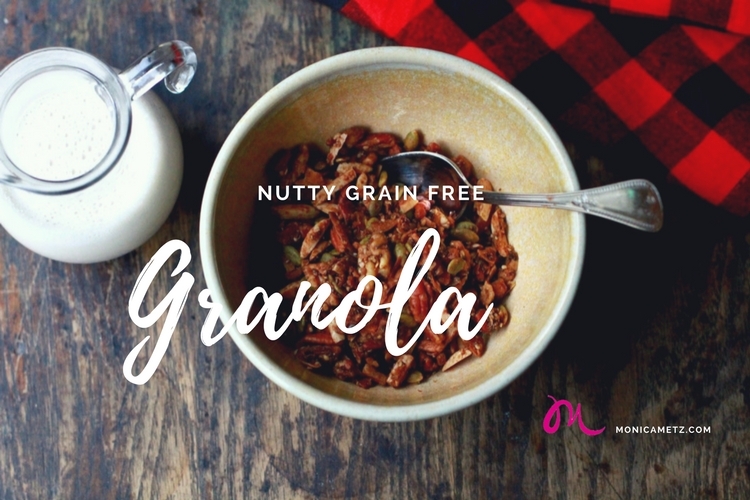 I’ve made this version grain free, but if grains don’t bother you, you could always substitute one of the nuts for an equal amount of rolled oats. Or, you could make an oil free version by omitting the oil, and substituting with a bit more maple syrup — just use enough to lightly coat all of the ingredients. I’m so excited for you to try this Grain Free Granola. It’s super crunchy and yummy, with a hint of sweetness and cinnamon. For the recipe, just click on the green link at the end of this blog post. Remember to tag me on Instagram if you try the recipe. I’d love to hear from you!